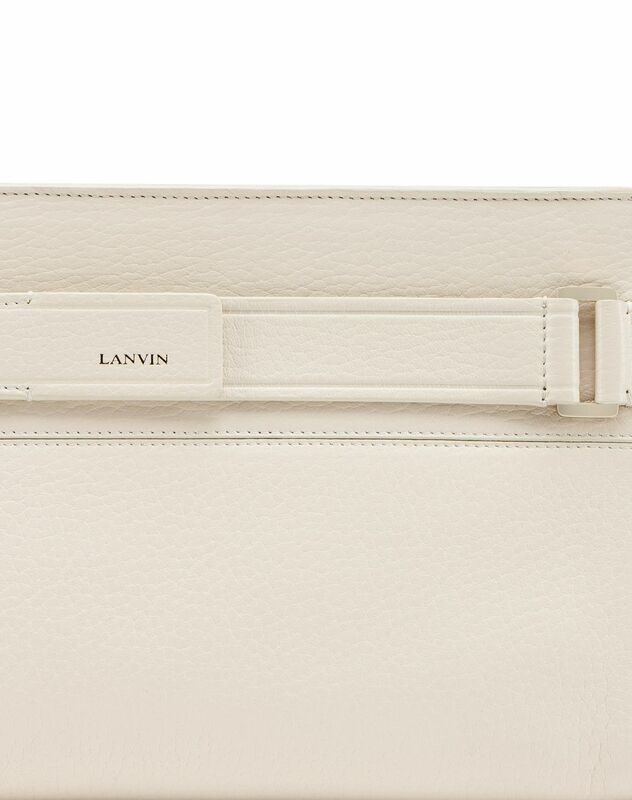 Réglisse clutch in cream calfskin leather, tone-on-tone topstitching, inner patch pocket, strap with gold "Lanvin" logo detail, gold-finish metal zipper closure and beige goatskin leather lining. 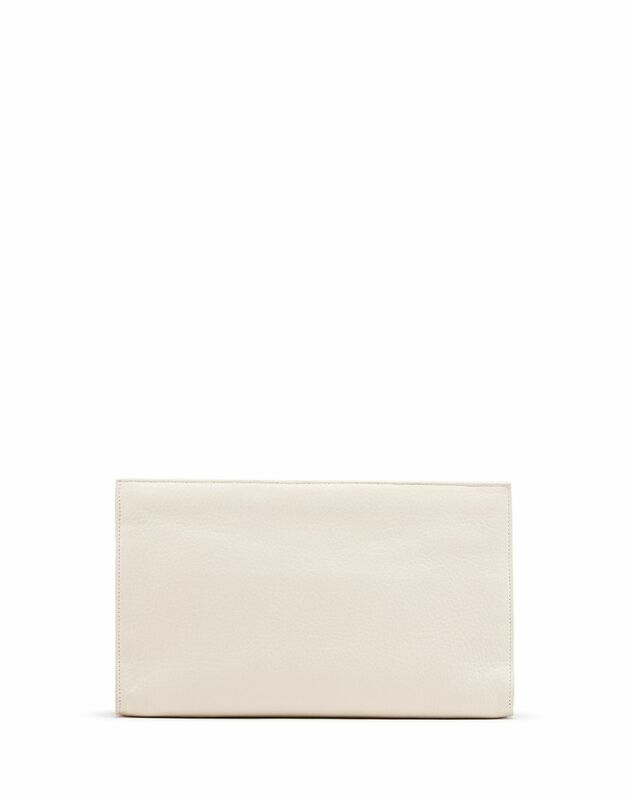 The cream color of this Réglisse clutch accentuates the elegant, sophisticated character of this versatile and feminine model. 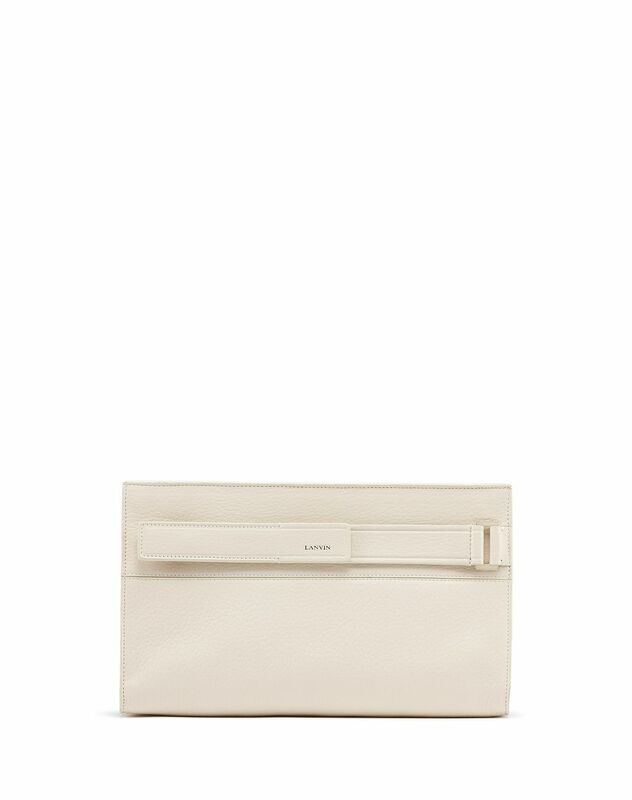 The strap allows the Réglisse clutch to be carried in style, while its rectangular shape will hold your everyday essentials.